Once again, we bring you news from beyond before any other English site. We have just received word from highly credible sources that a Dual Hawaii-XT GPU Codenamed ‘Vesuvius’ is coming very soon, allegedly the R9 290X x2 . 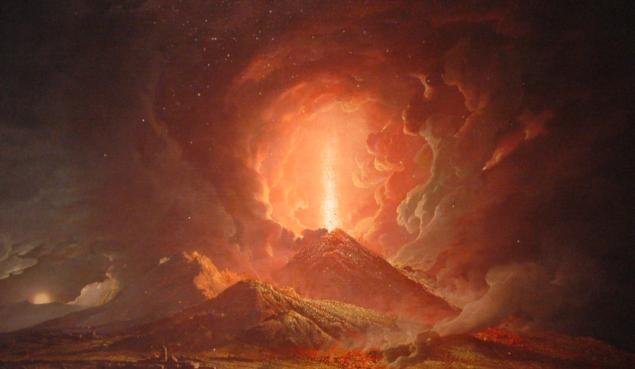 AMD’s codenames are all about volcanoes this generation and Vesuvius is no exception. Most of you would have heard about the city of Pompeii and the historic event in which the city was destroyed. The name of the volcano that was single handedly responsible for destroying the city and releasing thermal energy roughly 100 000 times more powerful than Hiroshima and Nagasaki was Vesuvius. So the name is fitting for the Dual GPU Card that will house two of AMD’s flagship core: Hawaii-XT. What is more of a concern for us is the obvious heat problems of the R9 290x. Already running at 95C and add in another GPU Core, what is going to happen in that reference design?. Unless AMD chooses not to have any reference design for the R9 290x x2 (Dear God, this nomenclature is unfortunate), their reference coolers will be in for a rough awakening with two of these cores. They will probably have to compensate by increasing fan speed and consequently, noise. Even with that we are skeptical on how AMD will manage to deliver a dual GPU card (AMD Vesuvius) with their current reference coolers and not hand out a shrieking turbine or an actual volcano. AMD Dual Hawaii GPU Date is in April – Could this be the date Vesuvius R9 295X2 Finally Erupts?